Lincoln High School Football 2004 | Stahancyk, Kent & Hook P.C. 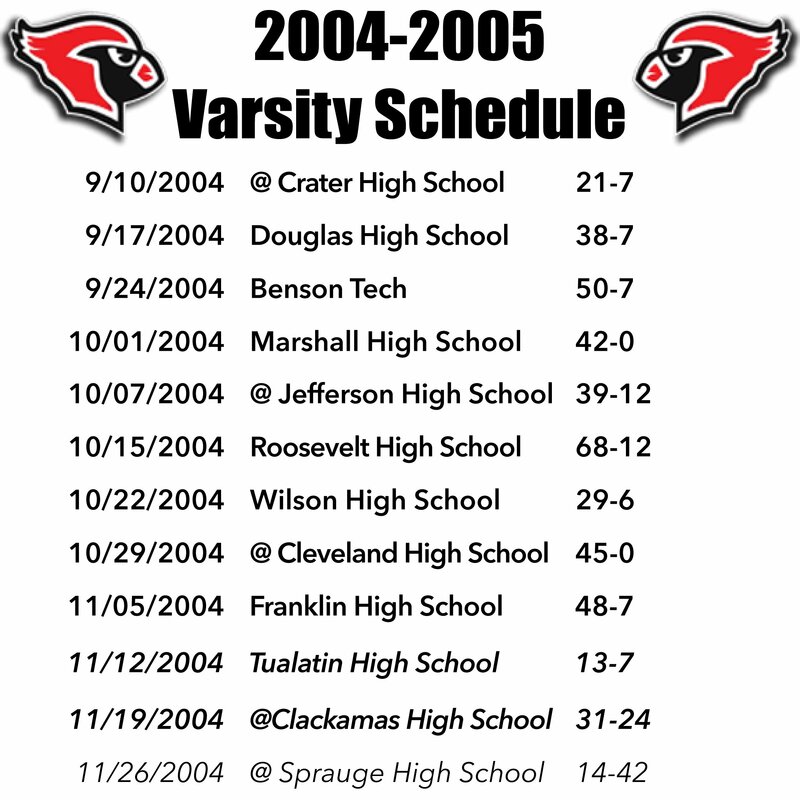 The Cardinals impressed SK&H and all their fans by playing a record breaking season in 2004. They won the PIL title for the first time in 39 years and went undefeated to the playoffs. Congratulations we are so proud of your accomplishment, Cardinals! Here they are carbing up before their games at The Cardinals’ nest here at SK&H where our chef prepares a nourishing meal for them. We consulted professionals, including Ingrid Skoog, Director of Sports Nutritionist at University of Oregon, and experts at Sports Lab in Portland, so our chef could prepare appropriate and nutritious meals. The experts tell us that young athletes should be eating about 3.5 to 4 hours before competing. The meal should be high in carbohydrates and include a lean protein.